At BlackSeaRama Golf & Villas there is no need to leave the resort to find fun activities and entertainment. We offer recreational activities throughout the season for you to enjoy and participate in during your stay. We have lots of festivities, Kids' Animation, Kids' Golf Academy, Live Music and more fun activities. 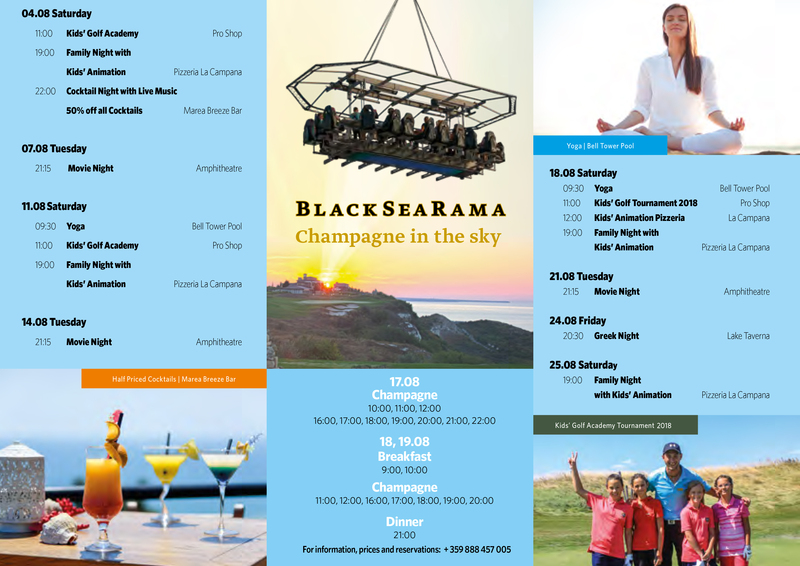 In our current activities programme, you will find out useful information and times of all activities happening this month at BlackSeaRama Golf & Villas.